Residence Ciasa Giovani. 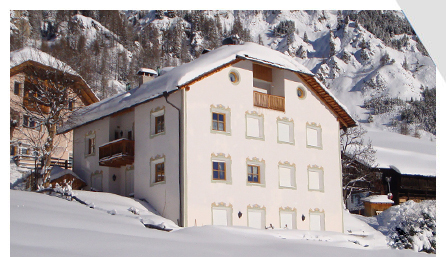 Holiday apartments in South Tyrol. 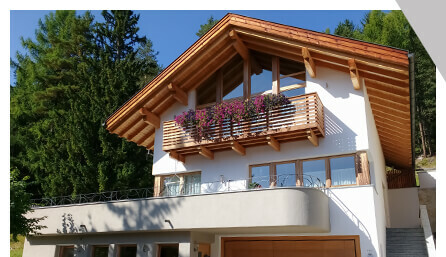 The apartments Ćiasa Giovâni are located in Alta Badia, one of the most famous mountain regions of South Tyrol, surrounded by the majestic Dolomites, UNESCO World Heritage Site. Ćiasa Giovâni is in Colfosco (1645m), ideal starting point for peaceful walks or harder mountain excursions around the Sella-Massif, in the Natural Park of Puez-Odle or on the peak of the Sassongher. Colfosco is just few minutes away from Corvara, La Villa and San Cassiano, the Campolongo-Pass, Brunico and the Val Gardena, where to start for lots of other walks and adventures. You can recharge yourself at our nice garden with fabulous view on the Dolomites. Ćiasa Giovâni is in the centre of Colfosco and just footsteps away from ski slopes, ski lifts, tourist office, shops and restaurants, ski pass office, ski school and ski rent. Ski lovers can start directly from our apartments for countless ski slopes of Alta Badia Skicarousel, part of the famous Dolomiti Superski Area. Direct access in front of Ćiasa Giovâni to the Sellaronda, the famous ski tour around the Sella-Massif. A paradise for winter sport lovers.